Linda Carnes Obituary - SHINNSTON, West Virginia | Harmer Funeral Home, Inc.
Linda Lee Carnes, 70, of Lumberport , WV passed away on Tuesday, January 15, 2019 at Bridgeport Health Center. She was born on December 09, 1948 at St. Mary’s hospital in Clarksburg to the late Roy Kerns and Leora Lindsey Kerns in Clarksburg, WV. Linda has two daughters, Stephanie Newbrough of Beckley, WV and Shannon Carnes of Lumberport; four grandchildren, Sage Newbrough, Synamon Johnson, Savory Johnson and Jerico Carnes along with one great-grandchild Xavier Newbrough; sister-in-law Gail Kerns-Dube ; six great nieces and three great nephews also great-great nieces and nephews. She was preceded in death by her loving husband David Lee Carnes with 42 ½ years of marriage and brothers Thomas Kerns and Clatus Kerns and his wife Maxine Lindsey of Cleveland, Ohio. Linda was an Eastern Star (Worthy Matron four terms), Shinnston Chapter#103 now belonging to Clarksburg Queen Esther Chapter, Clarksburg #11 also a past high priestess of the Ladies’ Oriental Shrine of North America, Tefnet Court #87, Clarksburg. She taught Diet Workshop for six years in the Shinnston, Clarksburg, Philippi, Weston, Salem, and Bridgeport areas. 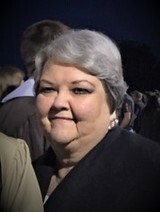 She graduated from Lumberport High School in 1966 and was a member of the Lumberport High School Alumni Association and served a three year term as president. Friends will be received at the Harmer Funeral Home, 300 Pike St., Shinnston on Sunday, January 20, 2019 from 2:00 PM to 8:00 PM with a funeral service on Monday, January 21, 2019 at 2:00 PM with Pastor Rita Robinson along with Pastor Tim Sandy officiating. Interment will be at the Lumberport Lions Club Cemetery. To send flowers to the family of Linda Lee Carnes, please visit our Heartfelt Sympathies Store.